Battles stress tactical deployment of troops, which is the formation of combat. It is called Formation. Good formation can make the best of battle effectiveness of the army. The game Blade of Queen also give full play to the formation system, players can enhance different attributes of the hero and partner through apply formation, and then defeat the enemy. 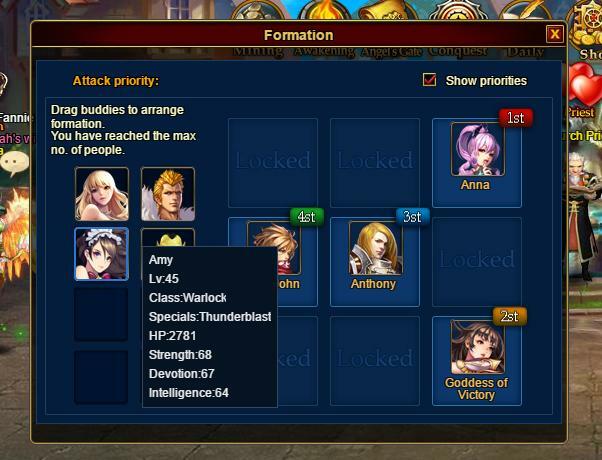 Players complete the mission of recruiting partners at level 6, they can unlock the formation function. Players can click the bottom right formation button to enter the page of formation. Partners will be added with the level up of the layers, but 5 partners can be added in the battle at most. The ways of formation by the players can affect the result of the battle directly, which becomes especially obvious in the battle with similar players.